Paramount has very kindly allowed us to use an interview with Star Trek: Enterprise star Scott Bakula, which was conducted last month, to promote the series' DVD release, on May the 2nd. Click here to read it. Optimum Home Entertainment will be releasing Michael Winterbottom's controversial bonk-fest 9 Songs on June the 27th. Specifications are in flux, but it is expected that the disc will feature an interview with actress Margo Stilley; deleted scenes; commentary on selected scenes by Winterbottom and actor Kieran O'Brien; and an introduction by Tom Dewe Matthews (author of 1994's Censored: What They Didn't Allow You to See, and Why - Story of Film Censorship in Britain). There'll also be an option to play Just The Songs, to watch the concert footage separately (although, oddly, no option for Just The Shagging). The film will be presented in 1.85:1 ratio, with Dolby Digital 5.1 audio. The RRP is £19.99. Sleeves for three of Optimum's forthcoming World cinema releases are now available (see below for more details about the discs)... Does that Detective sleeve remind you of anything..? Details of Twentieth Century Fox Home Entertainment's Elektra DVD can now be confirmed. (There was some confusion about the content when the initial announcement was made - see the News entry for March the 31st). The film will be offered with a choice of Dolby Digital 5.1 (at 448kbps) or DTS 5.1 (at 768kbps). (The DTS track wasn't mentioned in the original press release). The disc will indeed be quite different to the US edition. The UK version features three deleted scenes: two with optional commentary by director Rob Bowman (Sai Approach and Rounding Up The Troops), and a third (Come Back To Me) without. Come Back To Me is the one that features a cameo appearance by Ben Affleck as Matt Murdock, Daredevil's alter ego. total duration of the deleted scenes is about four minutes. The other extras are The Making of Elektra (13m); an extensive look at the various adaptations of Elektra, titled Elektra Incarnations (53m); a Sneak Peak for the Daredevil Director's Cut (2m) and an Inside Look at (the trailers for) Fantastic Four (due on July the 4th) and Ice Age 2 ("Coming 2006"). The US disc has a very brief (2m) clip of Jennifer Garner at the Comic Con, and a short featurette about the editing of the film, but it's missing Elektra Incarnations. 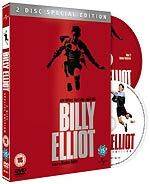 Universal will release a two-disc Special Edition version of Billy Elliot on May the 9th. The set is being released to coincide with the launch of Billy Elliot The Musical, and some of the two hours of new material on the disc will focus on that, rather than the film. The new DVD will apparently feature an extended version of the film, with additional footage in three scenes (the boxing scene, the supermarket scene with Dad and Billy's brother, and the arrival at the Royal Ballet School). The disc will also feature deleted scenes (Billy's Story, Tony's Story and Dad's Story); The Making of the Movie (with interviews with Jamie Bell, Julie Walters, director Stephen Daldry, writer Lee Hall, and the film's producers, Jon Finn and Greg Brenman); Music (Daldry discusses each piece of music in the film); and Billy Elliot The Musical auditions. RRP for the new disc is £19.99. Billy Elliot The Musical began previewing on March the 31st, and will have its premiere on May 12th, at London's Victoria Palace theatre. After a couple of false starts, it looks like the first two seasons of Wonder Woman will be released - appropriately enough - on July the 4th. Wonder Woman: The Complete First Season will feature the pilot movie, and subsequent thirteen episodes. 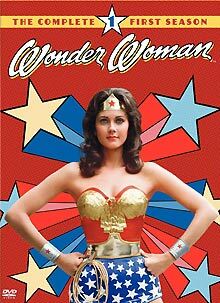 The set will include a commentary track by star Lynda Carter and Executive Producer on the pilot; and a new documentary, Beauty, Brawn and Bulletproof Bracelets: A Wonder Woman Retrospective. The second season of Wonder Woman shifted the series from a World War II-era setting to the then-present day. 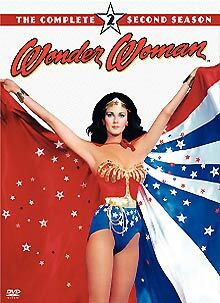 The Wonder Woman - The Complete Second Season set features twenty-two episodes, including a feature-length season premiere. The set will include Revolutionizing a Classic: From Comic Book To Television, a documentary showing how the comic strip was adapted from the page to the screen. It will include interviews with Lynda Carter, Douglas S. Cramer, Phil Jiminez, Alex Ross, Adam Hughes and Andy Mangels. Both sets will feature the episodes in 4:3 format, with mono audio, as originally broadcast. According to the PR company, the RRP for each set is £29.99. According to Play.com, the Second Season set (which has almost twice as many episodes) has an RRP of £49.99. Here's a look at the sleeve art, which, without BBFC adornment, is identical to the US disc sets. Film Score Monthly has announced its next pair of soundtrack releases. They are from the 1959 film Green Mansions (a score composed by Heitor Villa-Lobos and Branislau Kaper), and a two-disc set featuring Ron Goodwin's music for 633 Squadron (1964) and Submarine X-1 (1969). More details are available at Film Score Monthly's website. There'll be more about each release when I receive them - stay tuned! Paramount has created a very nice web page to promote the release of the first season of Star Trek Enterprise, which features a trailer for the DVD. You can view the page and the trailer here. The first season is due for release on May the 2nd, with an RRP of £84.99. Optimum Asia is releasing the Martial Arts biopic Fighter In The Wind on May the 30th, the story of Korean karate legend Choi Baedal (Yang Dong-geun). Special features on the disc will include Action Diary of a Fencing Master, Yang Gil-Young; How to Learn: Fencing Technique, Karate, etc; Interviews with director Yang Yun-Ho and actors Yang Dong-geun, Aya Hirayama and Kato Masaya; The True Story of Fighter in the Wind (TBC); a music video and trailer. The film will be presented in 1.85:1 anamorphic format, with Dolby Digital 5.1 audio. The RRP is £19.99. Optimum Releasing will issue Glengarry Glen Ross director James Foley's neglected depression-era coming-of-age drama about a boy and his Grandfather, Two Bits, on May the 9th. The film, which features Al Pacino in a cameo role, was written by Psycho screenwriter Joseph Stefano. It will have an RRP of £9.99. No technical details were announced, and it doesn't look like there'll be any bonus features. Columbia Tristar has announced a R2 release date for the Will Smith romantic comedy Hitch and the Charlize Theron wartime drama Head In The Clouds: July the 4th. Full details of Pathé's House of Flying Daggers DVD are now available. The film will be presented in 2.35:1 anamorphic widescreen format, with Chinese 5.1 audio in Dolby Digital (448kb/s) and full bitrate (1536kb/s) DTS formats. (The DTS track wasn't mentioned on the initial press release). Average bit-rate for the film is a very high 8.51Mb/s. 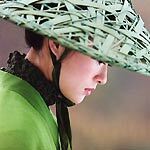 Apart from a commentary track, by Zhang Yimou and Ziyi Zhang, all the bonus material is on the second disc in the set. This comprises a forty-five minute Making of... featurette; a special effects featurette, Behind The Visual Effects (4m); Shigeru Umeayashi and Kathleen Battle's Lovers music video (with or without subtitled lyrics); five thirty-second clips identifying the film's Filming Locations; text Cast and Crew Biographies; animated photo', costume, props, settings and behind-the-scenes Galleries (10m); Storyboard to Film Comparisons for five scenes (14m); the UK theatrical trailer (2m); and TV spots (2m). The fifteen minute Look Inside featurette mentioned in the press release seems to be AWOL (perhaps it referred to the Visual Effects documentary, which wasn't mentioned in the initial press release). The release date is May the 2nd, the RRP is £19.99. Today's update is a bit of a hodgepodge. Some of it should have appeared at the tail end of last week, so might be old news for some of you, sorry. Buena Vista Home Entertainment is releasing a special three-disc edition of Pirates of the Caribbean on April the 25th. The set, which will be available for "a limited time only" adds a second disc of bonus material about the Disneyland ride that inspired the film, including interviews with Uncle Walt himself, and about the movie. New featurettes include Becoming Captain Jack (Johnny Depp reveals how he created Captain Jack Sparrow); Becoming Barbossa (Geoffrey Rush on his character); Thar She Blows (building the models of the British Navy Ship The Interceptor); Sneak Attack Animatic (animatic of the pirates walking along the sea bed); More Fly On The Set (more behind-the-scenes material); The Monkey's Name Is Jack (training the film's two monkeys, Levi and Tara); Pirates Around The World (dubbed clips from the film - the press release says "is this right I haven't really seen this bit"! ); Spirit of the Ride (the story of the Disneyland California theme park ride); Dead Men Tell No Tales (PC file about the creation of the Disneyland ride). The running time of the third disc is just over an hour. 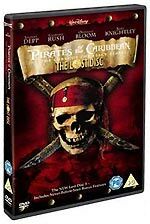 The two-disc edition of Pirates of the Caribbean can usually be found for less than ten pounds. The RRP for the new version is a whopping £22.99 (the same initial RRP as the two-disc version). Presumably anyone who was interested enough in the film to buy a three-disc version would have bought the two-disc edition, so, even taking the usual discounts into account, it means that the extra disc is going to cost an additional £6 or £7. Ouch! 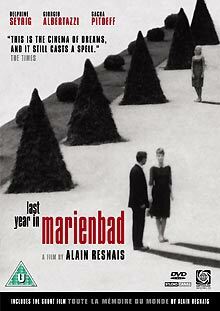 Optimum will release a remastered version of Alain Resnais's flighty Last Year In Marienbad (L'Année Dernière à Marienbad) on May the 23rd. The Cinemascope film has been digitally re-mastered, and will be presented in 2.35:1 ratio, with mono audio. The disc will also feature a documentary, In The Labyrinth of Marienbad, an introduction by film critic Ginette Vincendead, a trailer, and a short film by Resnais, 1956's Toute la mémoire du monde. RRP is £19.99. 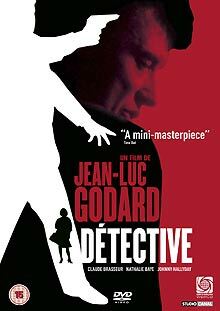 Optimum is also releasing two acclaimed Jean-Luc Godard films, La Chinoise and Detective, on May the 16th, to coincide with the theatrical release of his latest film, Notre Musique. 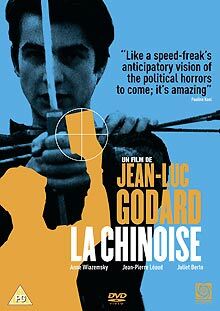 Both discs will feature introductions by Colin McCabe, author of Godard: A Portrait of the Artist at Seventy. Both films will be presented in 4:3 format, with stereo audio. RRP for both discs is £19.99. 2 Entertain Limited (the company set up to handle the merger between Video Collection International (VCI) and BBC Video) seems to have finally absorbed responsibility for marketing the BBC titles, so information about forthcoming releases should be more forthcoming. You can read reaction to Network's exciting line-up here. Interesting to see The Baron in that line-up, since Network has decided to go head-to-head with Umbrella's Australian version, which was announced a couple of weeks ago (on March the 29th). The company claims that the clash of release dates is a coincidence, but it wouldn't surprise me if Network has rush-released this to grab as many domestic sales as they can, before too many people import copies. News about the rest of Thriller coming out will thrill many, especially as Network has priced it very reasonably. There's so much good stuff coming out now that it's amazing that people have the time to watch it all, let alone afford it! Telos Publishing has announced the release of two books that might tempt fans of fantasy TV series. The first is The End of the World? 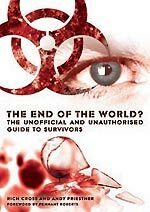 The Unofficial and Unauthorised Guide to Survivors, which is written by Rich Cross and Andy Priestner. It will have to be very good indeed if it's to better Kevin Marshall's self-published 1995 book The Making of Terry Nation's Survivors. The second is another book about the popular WB series Charmed: Triquetra - The Unofficial and Unauthorised Guide To Charmed, by Keith Topping. You'll have to wait for these, though: the Survivors book is due in September, and the Charmed book is due in December. More details at the Telos website. UKTV channel G2 is having a League of Gentlemen weekend on May the 21st and 22nd, to coincide with the release of the The League of Gentlemen's Apocalypse feature film. They publish a magazine promoting their programmes to TV listings editors. This month the magazine features a list of League member Jeremy Dyson's favourite horror films, which can be seen here. My thanks to UKTV G2 for allowing me to reproduce it. You can discuss your five favourite horror movies in this thread at Roobarb's DVD Forum. Here's some good news for Family Guy fans. I can confirm that the forthcoming Family Guy Freakin' Sweet Collection features the uncut version of Road to Rhode Island, which was previously cut in the UK (it was missing a scene featuring Osama Bin Laden and an airport metal detector). Previous Zeta Minor News entries can viewed here.